I would like to take this opportunity to welcome you all to the Virgin Islands. This training seminar is an important one as the field of exchange of information continues to grow and advance. 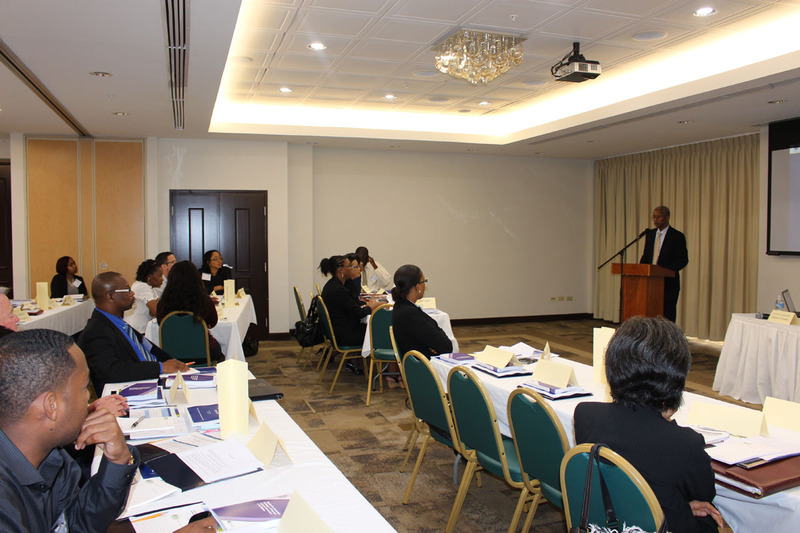 The Virgin Islands continues to be committed to exchange of information in tax matters and we are pleased that the Organisation for Economic Co-operation and Development (OECD) and the Global Forum has selected us (the Virgin Islands) to host this training seminar. As a Territory we are relatively new to automatic exchange of information, having been exchanging information automatically under the European Union Savings Directive since 2013. As early adopters we have committed to exchange information automatically under the CRS by 2017. The Common Reporting Standard (CRS) has become the standard for automatic exchange of financial account information in tax matters and this standard is the means by which tax authorities can share relevant data in relation to financial assets held by their tax payers around the world. More than 40 ‘early-adopters’ have committed to make the first exchange of information with respect to new and high value pre-existing accounts by the end of September 2017, and with respect to other pre-existing accounts by the end of September 2018. The Virgin Islands has dedicated resources to ensure that we are in compliance. The Caribbean region, of which many of you in attendance here are a part of, has indicated on many different occasions that they are not ready for automatic exchange of information. We are all aware of the burden automatic exchange of information will have on our governments. As the Caribbean is new to automatic exchange of information, many of us have to build Information Technology infrastructures and the legislative framework that will ensure that we are able to exchange information automatically, in line with the new standard. This is no doubt a large financial endeavor that we will all face! The Virgin Islands was faced with this challenge in the implementation of Foreign Account Tax Compliance Act (FATCA). The first challenge was sourcing software that would enable the (Foreign) Financial Institutions (FFIs’) to report the relevant information to us, and then facilitate the reporting of this information to the United States. The second challenge was ensuring that our IT infrastructure was able to bear the load when this information is being submitted. You can imagine how a jurisdiction like the Virgin Islands with over 5,000 FFIs would view the submission of a large quantity of information, potentially causing considerable load to be placed on the our IT systems. Our modus operandi has been to automate as much processes as possible, such that our human resources can concentrate more on high level as opposed to basic run of the mill processing. As such we sourced servers that would be able accommodate the work load and allow for information to be exchanged seamlessly with our treaty partners. Our systems are now up and running and we are ready to meet the exchange deadlines under US FATCA. Similarly we are confident that we will be in the position to also meet our commitment to exchange information under the CRS in 2017. These systems form the basis of our information exchange IT infrastructure in the future. We believe that automatic exchange of information will increase the reliance on exchange of information upon request. These two standards, Automatic Exchange of Information (AEOI) and Exchange of Information on Request (EOIR) will therefore be complementary and will work together to enhance the effectiveness of tax administrators’ efforts in addressing international tax evasion. For this reason, we need to continue to ensure that our competent authorities are well equipped and capable of handling the increase in requests that I have no doubt we will all experience following the first automatic exchange of information. The Virgin Islands continues to be committed to exchange of information and we continue to ensure that our competent authority is equipped not only with trained personnel to handle exchange of information, but also with the IT capabilities to ensure that the work of the competent authority is effective and efficient. Again we welcome you to our Virgin Islands and we hope that you have some time to experience our Islands. We have a lovely dinner planned for you at one of our neighboring islands, Peter Island Resort and I hope that you will all be at this dinner this evening. I wish you a successful workshop.